I'm sorry but I don't care who you are, that's poetic! 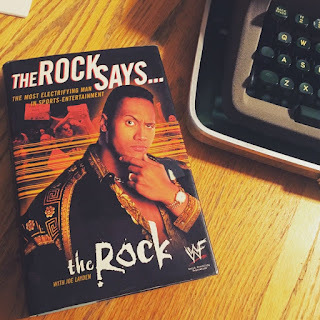 So I took about 5 seconds to create Instagram account #27 the poetry of the Rock. I'm not really sure what the point of it is, but it's just for fun. 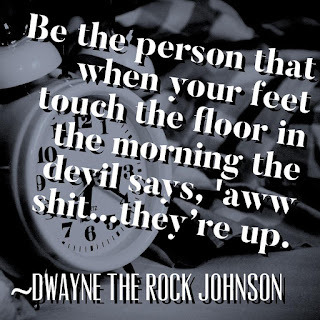 The plan is that I'm going to post quotes from the Rock in the #Instapoet style and I'm going to occasionally write original poems about the Rock or the things that he says. 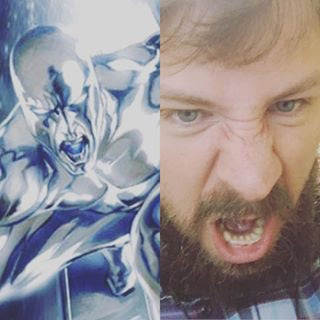 Here's the Instagram image that I made for that quote within the week. It didn't take me long. I used the madewithover.com app. 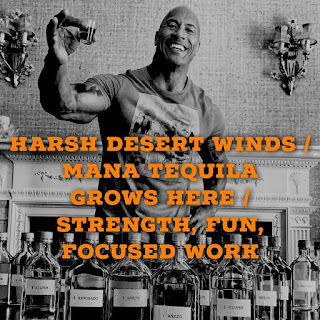 And then, here's the Haiku that I wrote for his whiskey brand that was formerly known as Mana Tequilla using one of his photos that he had posted on the previous day. 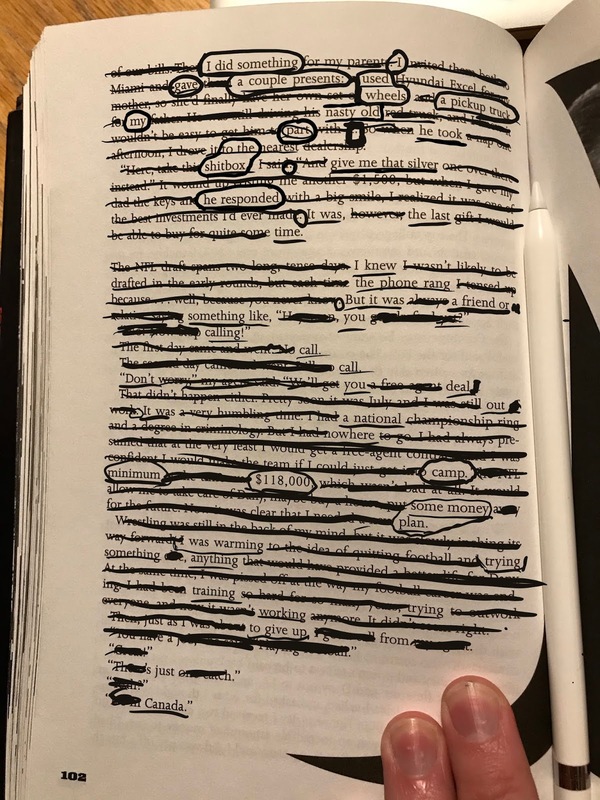 My plan is to go through this book and start practicing/making found poetry and blackout poetry. It's more of an exercise and I don't know if I'm going to use every page or not. My early attempts have not been encouraging. So, if you have any feedback or any advice, please contact me or leave a comment.